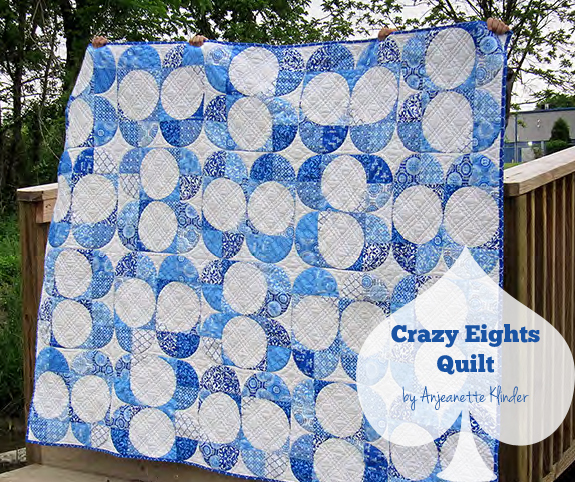 I’m simply in love with this new quilt pattern from Pellon Project Designer Anjeanette Klinder. 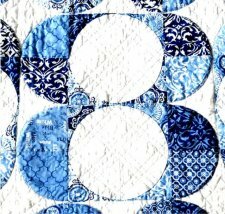 Her Crazy Eights Quilt is a soothing combo of blue & white tones, perfect for the waning days of Summer. The quilt is a twist on the old classic Drunkard’s Path. 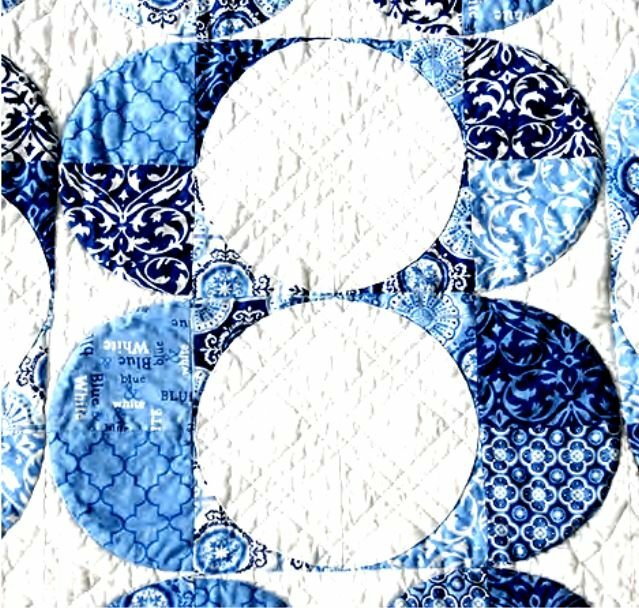 Using the same quarter circles, with updates to the spacing and layout, allows you to create a brand new modern quilt.